The hotel Mimoza gives you an opportunity to enjoy in complete comfort and experience the domestic ambient. Our skilled staff is always at your service. 2.39 km distance from Kumanovo main square. Online booking or contact for Hotel Mimoza is unavailable. 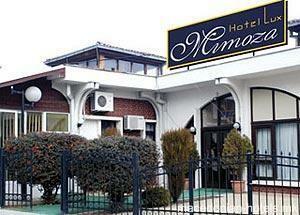 We are sorry, but macedonian-hotels.mk doesn't provide any data for booking or contacting Hotel Mimoza.